Captaining the famous Montreal Canadiens for 5 seasons in the early-1990s, Guy Carboneau spent the majority of his career with the club, winning Stanley Cups in both 1986 and 1993. Celebrating the Sept-Îles native’s first NHL hat trick that occurred in an 11-3 trouncing of the Kings on Jan 6th 1983, we have the award presented to Carbonneau for the accomplishment. 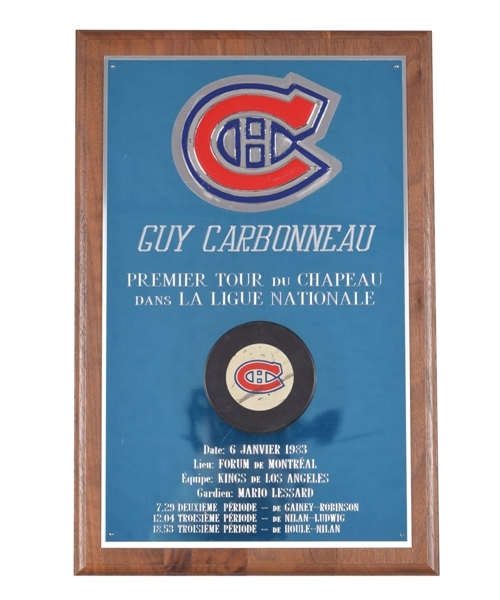 At roughly 10” x 15”, the solid wood plaque with mounted metal plate feature’s the goal puck with Habs logo mounted, with an embossed full-colour CH emblem placed above. 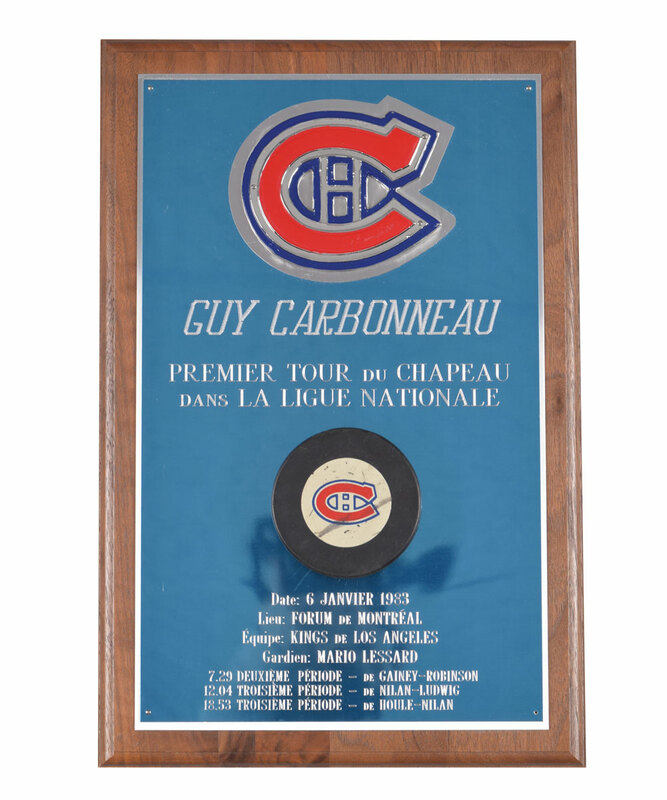 “Guy Carbonneau” is engraved, along with the particulars including the date. Guy has signed the reverse in black marker, with just some light scratches present, with the pin securing the bottom right corner no longer present. A signed LOA from Guy Carbonneau will accompany.